From years of planning accessible travel, we’ve learned that the majority of our clients are very interested in historic events, highlights and museums. And for that, Europe is definitely the place to go! Throughout Northern Europe, visitors have opportunities to travel back in time and experience historic scenes and events in a way that isn’t possible in many other parts of the world. In this month’s newsletter, I am going to share my Top 5 Accessible WWII History Destinations in Europe with you. 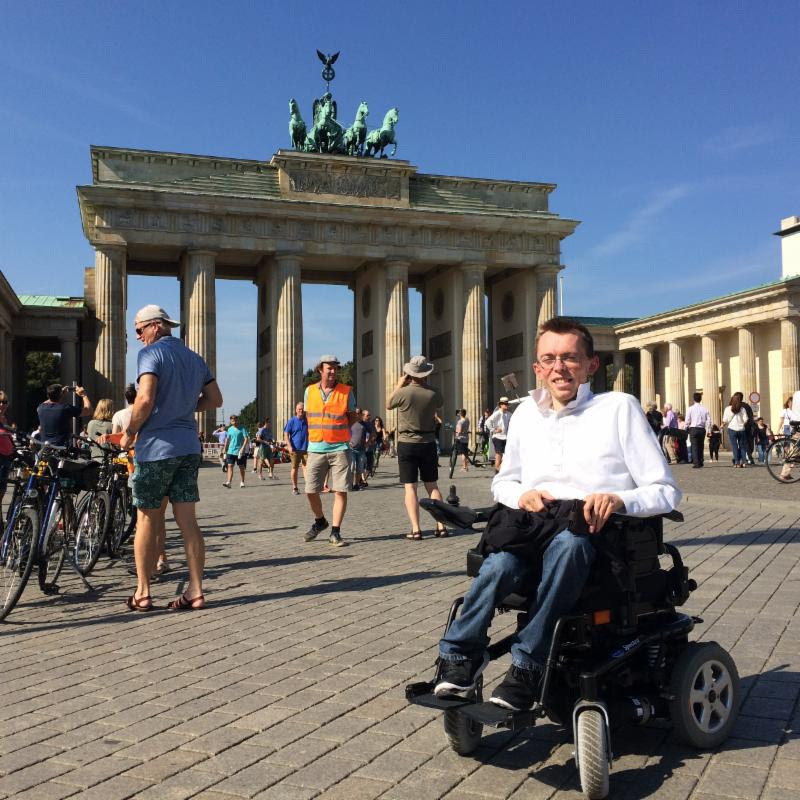 1.Berlin: The German capital ranks the highest when it comes to accessible WWII History sites. Not only does it have several, equally fascinating sites to visit, most of them are also located in “Berlin Mitte” (the center of Berlin), which means less distances to cover as you navigate between the sites. Except from a few mild to moderate cobblestones due to the age of the city, most of Berlin Mitte is wheelchair friendly with sidewalks, curb cuts and flat grounds. In this area, you’ll find significant historic attractions including the remains of the Berlin Wall, the famous Checkpoint Charlie, the Brandenburg Gate and Tor, as well as the Topography of Terror – the site of the SS and Gestapo headquarters, where the Holocaust was planned! This place now houses an extensive exhibition on crimes committed by the Nazis. In 2015, the site was thoroughly updated to be completely accessible, meaning that all rooms, facilities and exhibition areas are wheelchair friendly. 2. Normandy: The region of Normandy played a significant role during WWII and many of the original war sites and memorials have been preserved well here. Unlike Berlin, the historic WWII sites are spread out throughout the region, which means you’ll have to use accessible transportation in order to visit them. The easiest way to experience the region’s many post-war sights, and learn about them as well, is to book an accessible D-Day Normandy driving tour from either Paris, Caen, Bayeux or Le Havre with a private accessible van and guide. In a full day, you can include several places such as the famous Omaha and Utah Beaches, the Normandy American Cemetery and Memorial which was the first American Cemetery on European Soil in WWII, the Normandy Airborne Museum, a French museum dedicated to the memory of American Paratroopers who were dropped into Normandy on the night of June 5th-6th in 1944, and Pointe du Hoc which was heavily bombed before D-Day. The bomb craters still exist, and accessible, flat pathways lead through the craters and defense bunkers. 3. Munich: Munich and the surrounding areas offer some fascinating WWII history and sites as well. Personally, getting to visit the Dachau Concentration Camp was something I’ll never forget. Dachau is about a 35 minute drive from Munich, but definitely worth a visit. The WWII site here consists of the concentration camp barracks, exhibition halls as well as a crematorium. 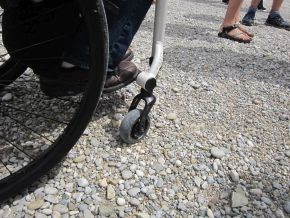 Most of the Dachau site is fully wheelchair accessible with flat paths and ramps to enter the buildings, however much of the grounds outside are covered in gravel and within the crematorium there are small lips between the rooms. 4. Eagle’s Nest: While most visitors come to Salzburg to experience the Sound of Music setting, there is another must-experience WWII site hiding only a short drive away. Nestled in the Bavarian Mountains, the Eagle’s Nest, also known as Hitler’s Mountain Retreat, is a Third Reich-era building erected on the top of the summit of Kehlstein. It was built as a tea house for Hitler, and was used exclusively by members of the Nazi Party for government and social meetings. Today, visitors to the Nest have an opportunity to visit and learn about this fascinating site that is inseparably linked with WWII and its history. 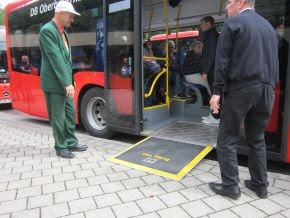 Disabled visitors wanting to experience the Eagle’s Nest must take an accessible van from Salzburg to Obersalzberg, and upon arrival at the Eagle’s Nest Ticket Center, board the special accessible public bus with a ramp. This bus has special permission to enter the tunnel up the mountain to the elevator that will bring you to the level of the Nest. You’ll be almost 2000 meters above sea level with breathtaking views of the Alps! The Eagle’s Nest is mostly accessible, however inside the Museum some of the rooms have steps down into the exhibitions. These rooms can be avoided if needed. The accessible public bus has a ramped entrance and a designated space for disabled passengers inside. This bus has a special permission to enter the tunnel up to the elevator to the Eagle’s Nest. 5. Churchill War Rooms: Hidden beneath the streets of Westminster in London, you will find the underground nerve center where Winston Churchill and his inner circle directed WWII. In the underground bunker, visitors can walk (or roll) through the labyrinth of rooms and corridors that sheltered Churchill and his war cabinet from the German bombing raids. The onsite Churchill Museum exhibits the story of his life and legacy. Please note, some of the corridors are very narrow which can make it challenging for larger mobility equipment users to pass through them, even more so during peak hours where visitor numbers are high. 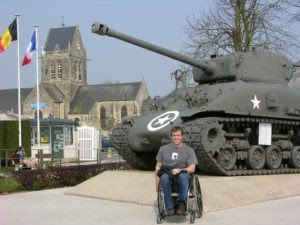 While many of the above WWII history destinations are considered accessible, due to the age and nature of the sites, I highly recommend bringing a tour guide along who is experienced in touring the sites with disabled visitors and their families. Someone who knows the accessible routes and how to avoid the stairs, steep inclines and uneven grounds will make the experience much easier for you. 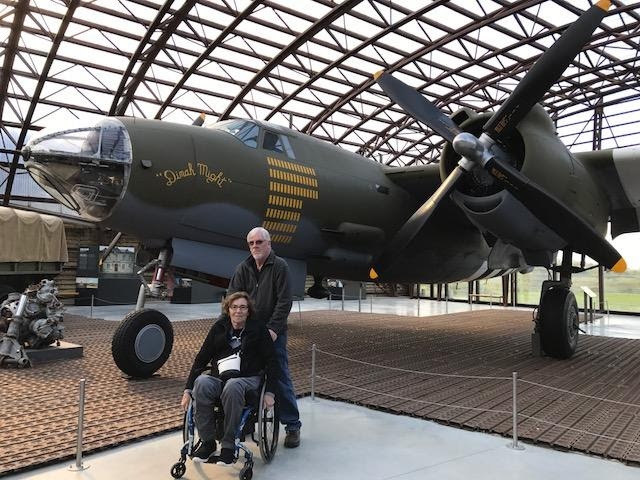 With our accessible guided walking and driving tours, you can spend less time worrying and more time exploring these intriguing historical WWII sites firsthand. Contact Us Now To Book Your 2018 Accessible Experiences!